Everyone needs choices. With me, I need more than one supermarket. Sure, we do most of our shopping at Meijer. It’s always been that way with J and I. I pick a hyper-market where we can get everything we need and do the bulk of our shopping there, but there’s always been a second grocery store that I go to when I just have to pick up one or two things. For several years, that supermarket has been Kroger. There always seems to be both a Meijer or Walmart and a Kroger near my place. Not in Kalamazoo. Since I have to find a new #2, I figured I’d check out a grocery store that I had never heard of before moving to Southwest Michigan. I’ve seen at least three locations somewhat near my house, but a trip to the Aunt Millie’s Bakery Outlet takes me right by the Harding’s Friendly Market on Cork Street near Lover’s Lane in the Milwood Neighborhood. The store is in a small strip mall and it looks like it’s been there for quite a while. 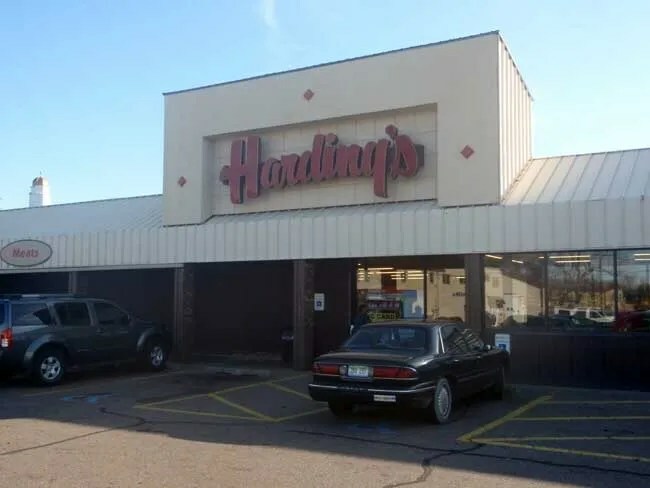 It’s not the newest store in town and it looks a little bit smaller than the other Harding’s I have driven by. The layout of the store is a little wierd when you first walk in. Right away to the right they start with coolers and the first thing you see is cheese. The store feels a little cramped. The aisles are probably just barely big enough to let two carts pass each other. The outer walls are lined with the coolers and the organization of products really has no rhyme or reason. There’s a large drink section to the left past the cash registers when you enter. On the right side of the store is the deli which serves up fresh chicken and sides. There are only a handful of check stands that are somewhat hidden. When I was in the back of the store trying to get to the front, it took me a lot of weaving to get there. There are some shelves that run perpendicular near the front to block off the entrance. It’s a smart move to help prevent easy theft, but it makes getting to the cashier’s a little tough. I was in the market for dinner, but I didn’t really know what I wanted. The reason I always went to Kroger in the past was because they could have some pretty good meat specials. They would take stuff that was reaching it’s sell by date either that day or in the very near future and mark it way down as a “manager’s special.” Whenever I didn’t have an idea for dinner, I would make a trip to Kroger and see what I could find. It worked more often than you would think. I just needed a little inspiration. The hypermarkets don’t seem to have very good prices on meat and almost never have sales like this. 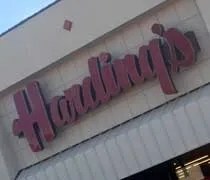 I was hoping Harding’s had something. 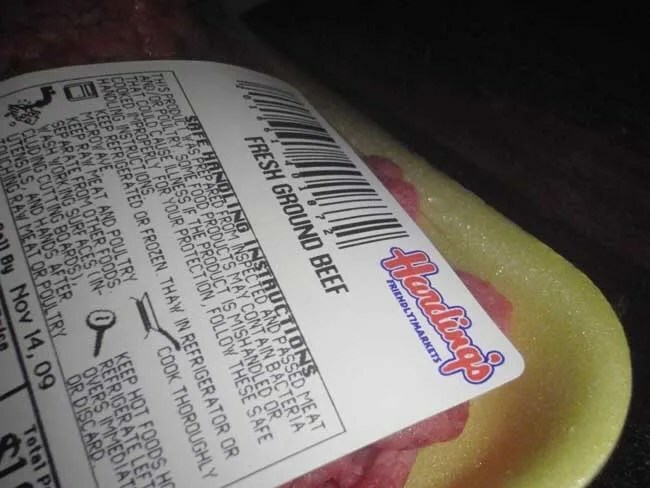 I couldn’t find a deeply discounted section, but they had a pretty good price on hamburger meat. J doesn’t really like straight hamburgers, but I thought I could make nachos for dinner. In that case, I needed some chili powder. Since I haven’t found a bulk store yet, I had to buy prepackaged. Harding’s had a Spartan brand that was pretty cheap, so that’s what I bought. Stupid me, it’s hard to make nachos without tortilla chips. I forgot those so I didn’t end up making nachos. I made a couple hamburgers for myself and J had a salad. Still, I have enough meat left over, I can try again tonight. That $1.87 package of hamburger is going to get me two meals. Before leaving, I grabbed a 12 pk of Coke Zero. It was sort of on sale and I’m not too found of the Diet Pepsi we have in the fridge. I’ll drink it just because it’s a cola, but for some reason, I actually prefer Coke Zero. It’s wierd because I’m not a Coke fan. I prefer Pepsi. Harding’s will most likely become my number two. There’s really no other store closer and they have decent prices on things. They’re at least comparable to Kroger which is where I prefered to shop. There’s not as many people which makes it a lot easier to get in and out of the store. That’s a huge plus.